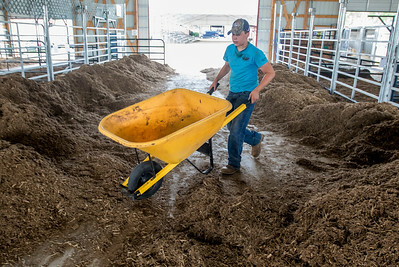 Sarah Nader - snader@shawmedia.com Anthony Pasquesi, 17, of Kildeer gets the beef barn ready for his steer before the start of the McHenry County Fair in Woodstock Monday, July 31, 2017. 4-H will be celebrating 100 years in the community this year. 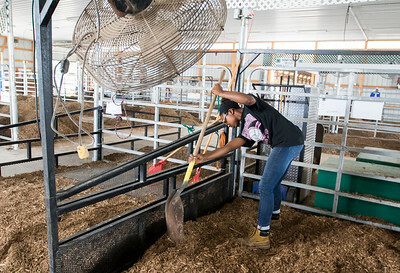 Sarah Nader - snader@shawmedia.com Joy Holian, 13, of Richmond gets the beef barn ready for her steer before the start of the McHenry County Fair in Woodstock Monday, July 31, 2017. 4-H will be celebrating 100 years in the community this year. 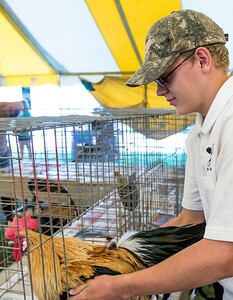 Sarah Nader - snader@shawmedia.com Levi Austin, 15, of Harvard places is rooster in a crate during judging at the McHenry County Fairgrounds in Woodstock Monday, July 31, 2017. Austin is part of the Milk Center 4-H club and is showing his animals at this years McHenry County Fair. 4-H is celebrating 100 years in the community this year. 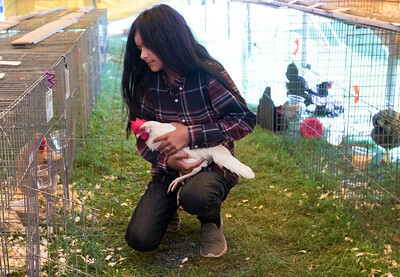 Sarah Nader - snader@shawmedia.com Sophia Srivastava, 10, of Woodstock gets her hen ready for judging at the McHenry County Fairgrounds in Woodstock Monday, July 31, 2017. 4-H is celebrating 100 years in the community this year. 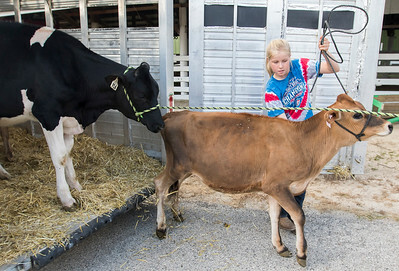 Sarah Nader - snader@shawmedia.com Ashtyn Martin, 13, of Union unloads her animals while getting ready for the McHenry County Fair in Woodstock Monday, July 31, 2017. Martin is showing two sheep and 7 cows at this weeks fair where 4-H will be celebrating 100 years in the community. 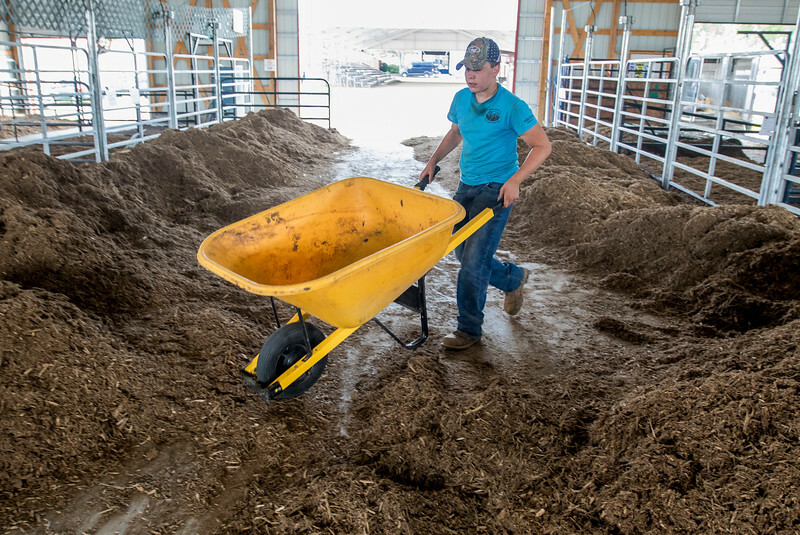 Anthony Pasquesi, 17, of Kildeer gets the beef barn ready for his steer before the start of the McHenry County Fair in Woodstock Monday, July 31, 2017. 4-H will be celebrating 100 years in the community this year.